To reward all our customers, we have implemented a loyalty program, free and without obligation. Indeed, it's enough to be an AZ Boutique customer to benefit automatically. Many actions realised on our site, will bring you loyalty points. Hereinafter you will find everything you need to know about how to get reward points and also how you can use them. Various actions you may performed on our website can help you to obtain loyalty points. Place an order For every order validated and paid, you will get one point for every euro of purchase. The number of earned points is calculated only on the basis of items purchased. Thus, shipping costs are not taken into account and any discounts applied (sales, promotions, coupon codes) are reducing the earned points number. What's happening in case of order cancellation or return ? If you cancel your order later, or if you return an order, the points will be also canceled. If the cancellation or return are partial, then only points relating to canceled or returned items will be canceled. If the points have already been used and can't be canceled, the corresponding points value will be deducted from the refund for items returned or canceled. Subscribe to the newsletter If you have a customer account and you subscribe for our newsletter, you will receive 20 loyalty points. This offer is only valid once per customer and the email used when you subscribe must match with an existing account. If unsubscribing, you will retain the benefit of points obtained. If you decide to re-register, your account won't be recredited. Recommend to a friend You can sponsor a friend or a relative. Indeed, in your customer account, you can consult the "Sponsorship" part which allow you to share our website link or even send invitations to a list of recipients. Each invitation sent via our sending form will earn you 2 points. However, e-mail addresses must be valid and you can't send multiple sponsorship requests to the same person, or to a spam. In case of spam or abusive mail, we reserve the right to suspend your sponsorship account and cancel possible earned points. If one of yours friends or relative place his first order on our website thanks to your sponsorship link or by filling in one of your sponsor information at check-out, you will get 200 points. If the order is canceled or totally returned, the points will be canceled. Place 5 orders You will obtain 100 loyalty points for five validated and paid orders. You have nothing to do. Points will automatically credited to your account . Share your order on Facebook or Twitter Once an order is confirmed, you can share it on Facebook or Twitter. You will obtain 20 points. A single command can be shared only once. If you cancel your order, loyalty points relating to its sharing will be canceled. Tagging a product On each product information sheet, you can tag keywords. It consits of adding keywords on a given product. You will get 1 point per keyword approved by our administrators. It 's necessary to add a new keyword, relevant, and therefore relate to the concerned product. Share a product information sheet with a friend If you share a product information sheet with a friend using the sharing tools available on each product page, you will receive 1 point. However, e-mail addresses must be valid and you can't repeatedly send the same product to the same person or to a spam. In case of spam or abusive mail, we reserve the right to suspend your account and cancel any points obtained fraudulently. Evaluate a product For every product purchased on our website, you can evaluate and comment the item directly from the product information sheet or via e-mail sent after receipt of your order. For each evaluation validated by our administrators, you will receive 20 points. Each point obtained using one of the methods listed above increases your balance. Manage my loyalty points To know your balance, simply go to your customer account in the "My loyalty points'' section. You can use your loyalty points when you want. Use loyalty points for place an order Your reward points can reduce the amount of your orders placed on AZ-boutique.com. During the shopping cart step, you can choose the number of points you want to use. 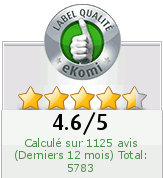 The amount of your discount will be calculated automatically, as your number of remaining points. No minimum order is required for using your points and deductions are applied to the amount of your order except shipping costs. The AZ-Boutique premium card is available here. It also provides other benefits such as free shipping with no minimum purchase. For more information, click here.